We've updated this review with new impressions based on the Xbox One and PS4 versions of the game. In the five years since Grand Theft Auto 4 was released, open-world games have changed quite a bit. Games like Infamous and Saints Row chose to empower the player and make getting from point-to-point easier. Hell, Saints Row took all of the chaotic glee from earlier GTA games and made it the whole point. 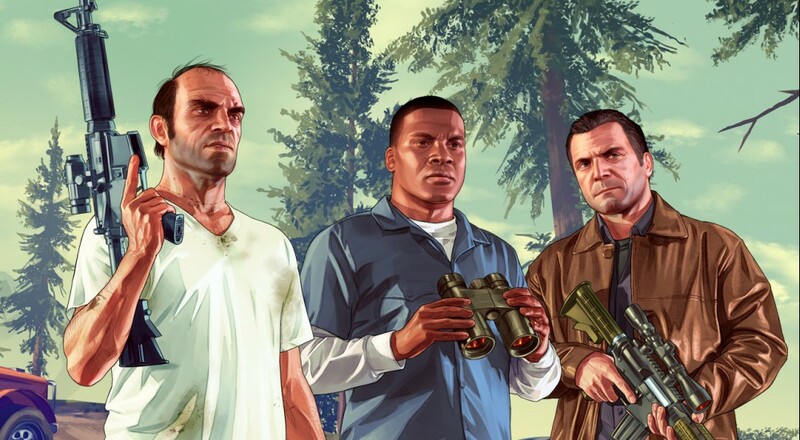 Grand Theft Auto 5 is grand achievement, albeit one that feels like it hasn't changed very much over the years. 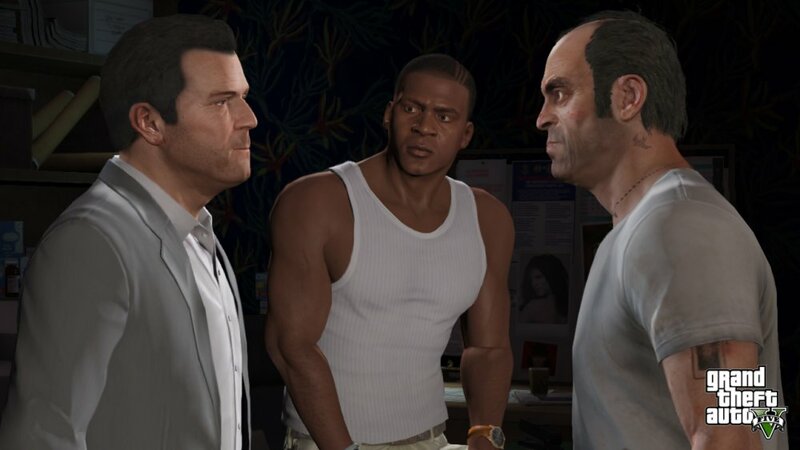 GTA 5 has three protagonists, but the story really centers around Michael de Santos, a retired bank robber who has gone into some sort of witness protection program after a heist went wrong. Early in the game he meets up with Franklin, a low-level thug who has dreams of doing more with himself. After Michael gets back into the heist game his old partner Trevor catches wind of his old friend's exploits and seeks him out. Crime ensues. Each character has a special ability that can be toggled by clicking in both analog sticks. Michael can slow down time while in combat, Trevor can go berserk in combat reducing his damage intake, and Franklin can slow down time while driving. Franklin's was the most useful for me, especially considering how aggressive the police are in this game. You can switch who you're controlling at any time, and the characters all go about their own business when the missions don't require they spend time together. 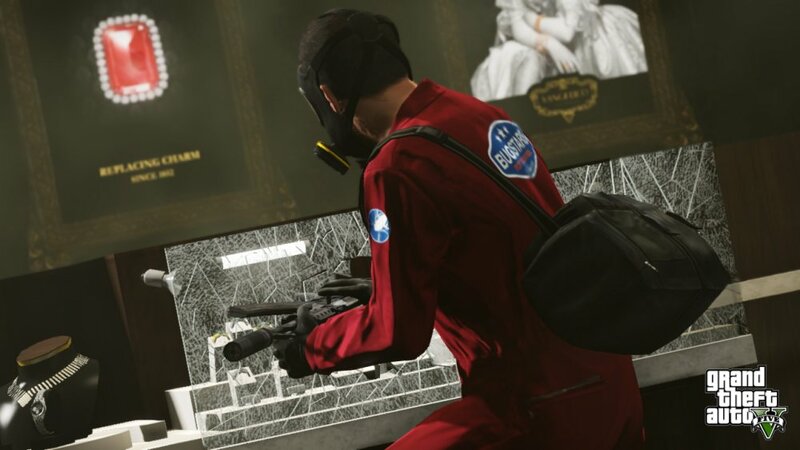 The Heist missions are the centerpiece of GTA 5 and are a good deal of fun. Prior to a Heist, you'll have to decide on an approach (usually loud vs. stealthy), and how skilled you want your support team to be. More skilled accomplices take a bigger cut out of your final haul, but generally make your life easier. Once in the Heist, you can swap between the the protagonists as their particular role needs to be filled, or leave things up to the AI if you prefer. Make it out, and everyone gets a real generous amount of cash - so much cash that there's almost instant gratification when it comes to your personal arsenal. Other story missions are character-centric and are usually pretty entertaining as well. Trevor's were almost always my favorite because his are more centered around causing a whole lot of chaos, at least until I got to the now-infamous "torture" mission, which was... needless. Franklin has to deal with more street/gang-level issues, and Michael's often involve his horrifyingly awful family dynamic. The writing is uniformly great, as is expected from Rockstar these days, though the tone hasn't really changed to fit the times. Often, the game comes across as a bit of an anachronism with the way it handles female characters and minorities, considering the current "lets talk about this stuff" zeitgeist. It took me a long time to get used to driving everywhere, since I was busying myself with Saints Row 4 prior to GTA 5, and it didn't help that the handling of most cars felt squirrely until I got used to its handling model. If you want some advice, set the vehicle camera angle to "high" and save yourself some issues. Combat is the best the series has ever had, although the snap-on aiming feels a little too much like whack-a-mole for my taste. You can turn the auto-aim off in settings, but the manual mode doesn't feel very good. It's a good thing that games like Saints Row exist, because it really feels like GTA is no longer about the randomized chaos unless it's in the context of a mission. The police are absurdly aggressive, and even with body armor, the characters all feel too fragile. Long standoffs against the police are hard to keep up, even at a three-star wanted level. It's fine that they've gone this route, but it's just not as fun to have to be so cautious when you want to steal military aircraft, or simply blow up all of the cars in a city block. It bears mentioning that the version of San Andreas that Rockstar has built here is an enormous technical achievement. The environments are gorgeous, and whatever they're doing with their lighting engine is a marvel to behold. About the only thing that belies the game's place in the current generation is the detail on the character models. Well, that, and the nearly five-minute load time you have to endure each time you boot the game up. Page created in 0.7247 seconds.